The three made a great trio together, and a very tasty snack! I quickly toasted some whole corn tortilla chips with a little bit of sprinkled parm to use to dip them in, it was perfect! 1. Add everything but the bean water into a pot, and heat on medium. Add about half of the bean water. 2. Let come to a simmer, and simmer stirring occasionally for about 30 min. 3. Transfer to a food processor and pulse for a few seconds until smooth. 1. Add everything to food processor and pulse to desired consistency. Yum they all look terrific! Oooh, tasty. I cannot get enough Mexican lately, and this may make the rotation. They look good enough that I might toss the jar of salsa at my hubby (he would be happier). 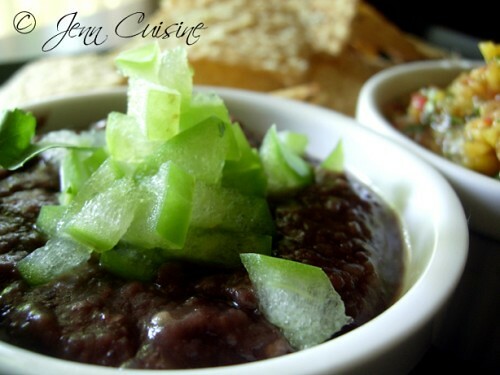 These dips look delicious and perfectly refreshing during the warmer months! Yum – these look delicious AND beautiful! These look AWESOME! 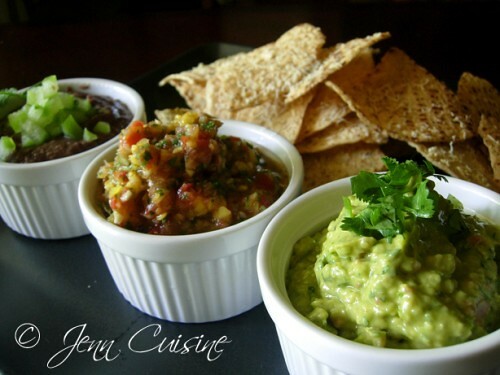 I love chip dips but I haven’t made any in a really long time…I definitely need to change that and make these soon!! Wow! Everything looks great! I may visit here often! Wow, I’m coming over to eat at your house. I love Mexican meals. Thank you for sharing this on Friday Foodie Fix. Nice photos. These dips look delicious. Thank you for sharing the recipes. Copyright © 2008-2014, All Rights Reserved. Disclaimer: I am NOT a licensed medical professional NOR am I a certified nutritionist. This site is NOT meant to be used in place of medical advice. You are responsible for your own consumption of foods. Consult a licensed medical professional before making any dietary changes. Contact manufacturer to inquire about allergy risks in specific food products.